Two European proposals to allow pseudolites in the protected frequencies used by GPS and Galileo could soon be adopted, creating a potential interference risk to GNSS receivers and hampering efforts to protect satellite navigation spectrum, experts say. “The pseudolite systems that some people are thinking of around the world, we think are a real danger to GPS and GNSS reception and could be a danger to safety of life,” Ray Clore, GNSS senior advisor at the U.S. State Department, told the audience at a meeting Tuesday of the Civil GPS Service Interface Committee in Tampa Florida. He said the subject would be discussed this week in Boston when U.S. and European representatives meet for regular bilateral talks on GNSS. The proposals, one each for indoor and outdoor pseudolites, are working their way through the approval process of the European Conference of Postal and Telecommunications Administrations (CEPT), a body focused on communications issues that is somewhat similar to the U.S. Federal Communications Commission. A CEPT working group has completed a series of studies and devised regulatory frameworks for national governments to use to approve and manage pseudolites, ground-based devices that transmit GNSS-like signals. The frameworks, which are issued by CEPT’s Electronic Communications Committee (ECC), suggest pseudolites or PLs be allowed in the spectrum band from 1559-1610 MHz — the frequencies designated by international agreement for use by Aeronautical Radio Navigation Services (ARNS) and the Radio Navigation Satellite Services (RNSS). The RF band, centered at 1575.42 MHz, is used for GPS L1 C/A and Galileo E1 signals. The European Geostationary Navigation Overlay Service (EGNOS) Space-based Augmentation System (SBAS), which supports Galileo system integrity and transmits differential corrections to GPS, uses the same center frequency as the L1 GNSS signals. The band is also specifically protected for safety-of-life applications, including aviation, and ARNS and RNSS are considered primary — that is, any other use of those frequencies is not supposed to create interference to the primary services. But interference and spoofing are very much a possibility if pseudolites are allowed in the band, said Kurt Zimmerman, director of engineering at the receiver manufacturer Trimble and Michael Swiek, president of the GPS Innovation Alliance. Swiek and Zimmerman pointed out that ECC reports acknowledged the risk of interference. For example, the framework for the indoor PLs said that before pseudolites could be installed at or near airports a case-by-case analysis needed to take place to assess the interference risk. The framework report for outdoor pseudolites said they should not be installed at or near airports. It also said that no-fly zones should be considered for areas where outdoor pseudolites were in use. Despite the clear potential for interference, ECC Reports 145 and 183, which summarize studies on the issue, assert that the 1559–1610 MHz band can be used for indoor and outdoor pseudolites. In fact, the ECC has recommended its framework for indoor pseudolites (report ECC Rec (11)08) which, according to the European Communications Office website, four countries have either adopted or committed to and five are studying. Seven nations have decided not to adopt it, and no information is available about the decisions of another 32 countries. “Since the ECC Recommendation (11)08 is also included in the European Common Allocation Table (ECA, -> ERC Report 25), one can assume that many administrations in Europe will implement, either on request from the market or automatically,” said Thomas Weber, spectrum management expert at the European Communications Office, which supports CEPT. Weber told Inside GNSS that Space Systems Finland other pseudolites manufacturers were advocating for the proposals. The indoor PLs could be used to support indoor production lines, receiver testing, and the movement of equipment in enclosed areas like hangers. They could aid navigation in auto tunnels or help people walking through museums and airports. Potential security and military uses and mass market consumer applications include using PLs to cover indoor retail environments, according to ECC Reports 145 and 168. Outdoor PLs, as described in ECC Report 183, could be employed for improving signal coverage in cities with tall buildings, the ECC says in Report 183, as well as for positioning goods and vehicles. Possible maritime applications include at harbors as well as applications locating containers in large warehouse areas, providing infrastructure protection and machine control at open mining sites, and doing terrestrial deformation monitoring. It does not appear that a framework recommendation has been made for outdoor PLs. If implemented, the two proposals would be exceptions to the global agreements that protect the ARNS/RNSS band, creating cracks in the wall that shields satellite navigation applications from communications firms and other users who have tried repeatedly to get access to GNSS frequencies. Zimmerman and Swiek pointed out that the wording of the ECC reports suggested other incompatible, in-band transmitters might also be allowed. 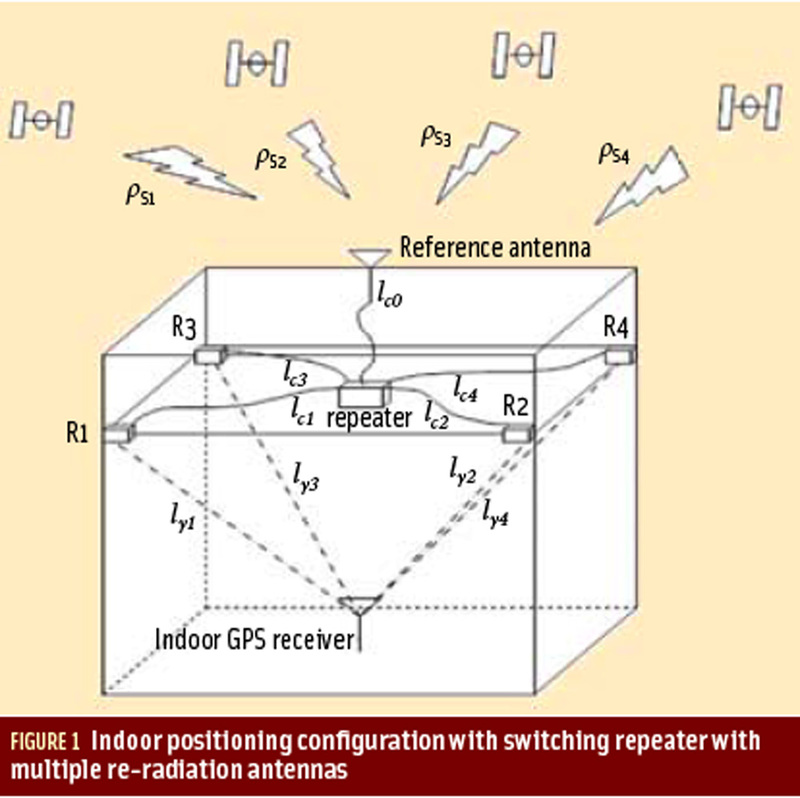 A source following the issue, who asked not to be named, asserted that the European Telecommunications Standards Institute (ETSI) is developing a draft GNSS product standard for CEPT that covers both indoor and outdoor PLs. The source believes the target timeline would have the standards completed next year. The GPS Innovation Alliance said ‘its members have been following regulatory developments in Europe, including the possible commercial licensing of in-band pseudolite, and are working with key stakeholders to ensure that potential interference issues are well understood and addressed." Weber indicated that any interference would be addressed. The “ECC takes all reports about jamming, spoofing or disturbing GNSS signal reception seriously,” he said.